First off I would like to apologize for not having updated you all earlier on my acoustic guitar project. This summer has been really busy for me as I have been working full time and have not had a lot of time to work on the guitar. Hopefully once school starts I will have a little more time in the afternoon. 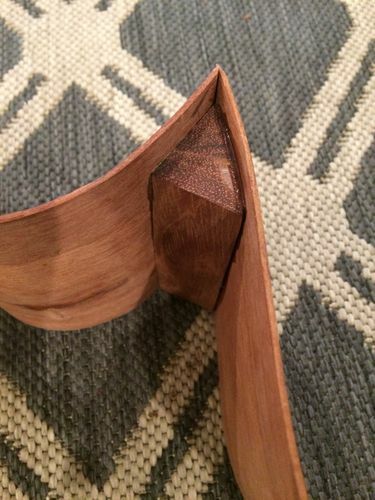 The top and bottom angles were fairly simple to glue based on the angles that needed to be glued. 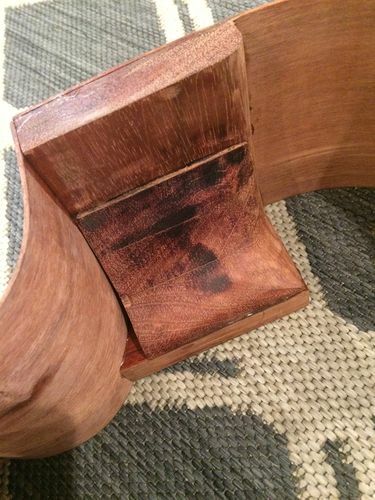 I made a mistake in thinking that the top of the guitar is tapered, when actually the bottom needs to be tapered. 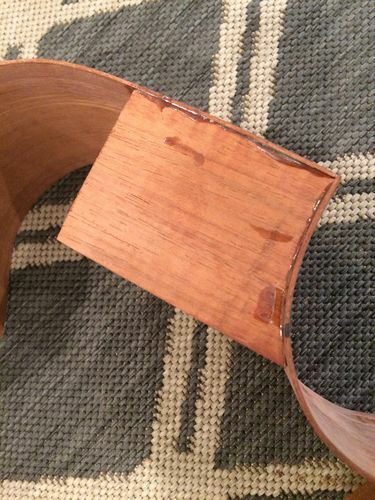 If you were to taper the top, and glue the neck on normally, the strings would not be level. 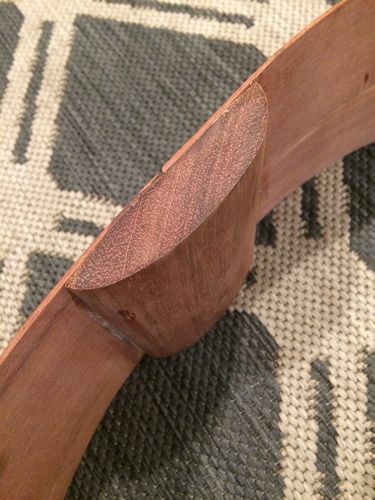 If you were to taper the top, the neck would have to be attached at the same angle as the tapered top. 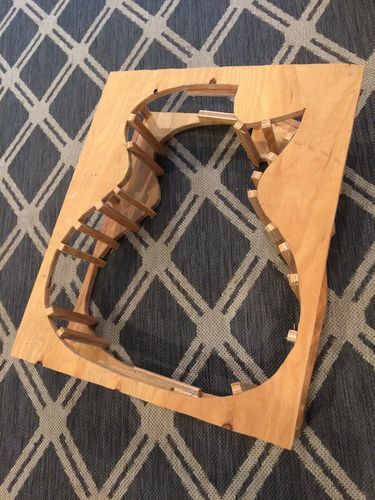 (Hopefully this isn’t too confusing (: ) I corrected this error by gluing another piece on top of the headblock- it is the piece that follows the angle of the cutaway. Thank you all for reading, I appreciate your comments, questions, or advice. Thanks! I think next time, you need to teach me! Thanks Ira! I not sure about the last part though! Wow! That looks great, Dale! Is that mahogany or cherry? It’s pretty! Keep up the good progress. 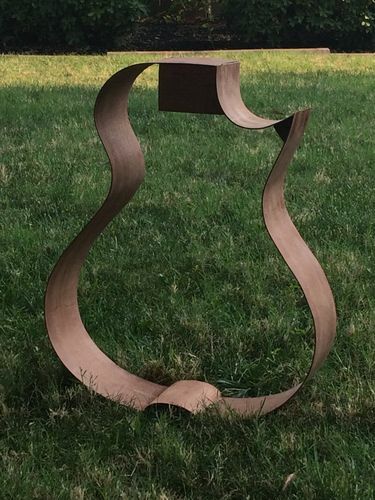 wow,building a guitar,now thats impressive work.cant wait to see you playing that.what wood are you using? You’re doing and excellent job. 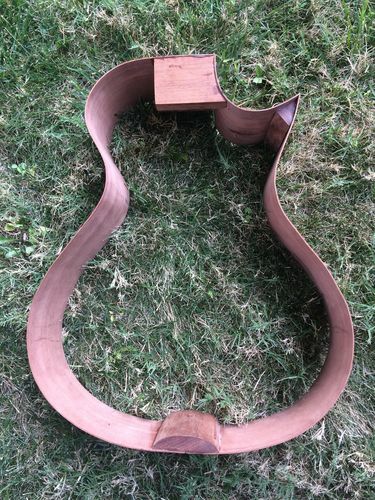 I have plans for a cutaway ukulele. You’ve given me some excellent ideas for corner blocks. Thank you for posting and keep it up. 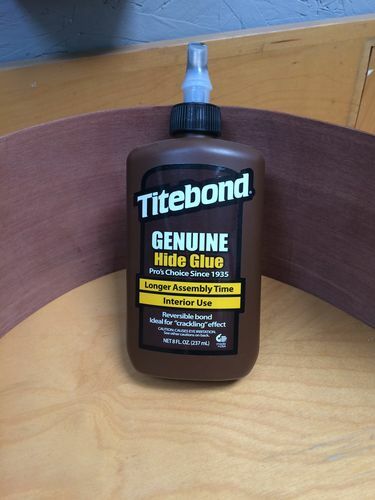 I use the titebond liquid hide glue. 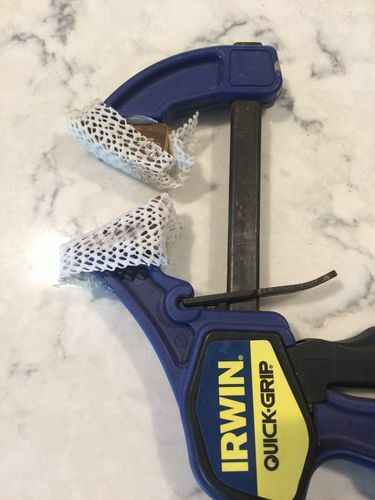 It does the job well and can be reversed with a heat gun.